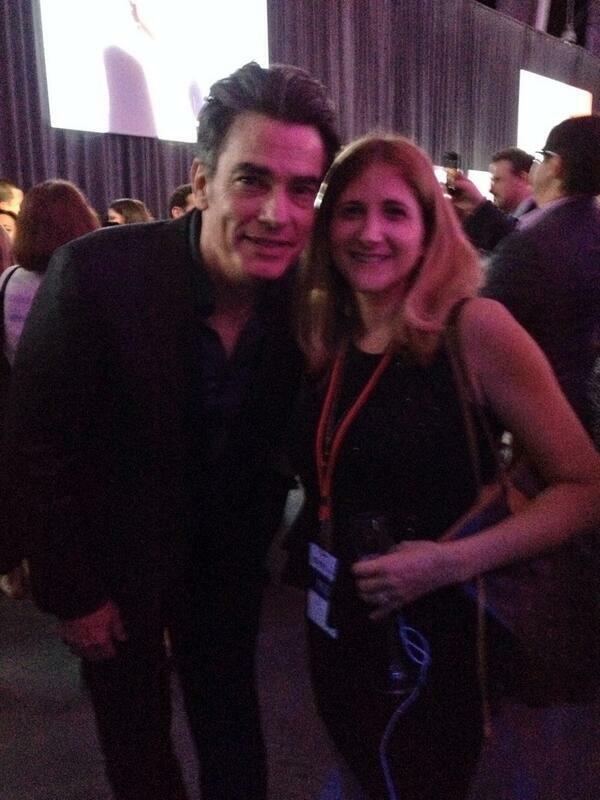 Last week, I had the honor of attending NBCUniversal's Cable Entertainment Upfront celebration. The event had more than 120 stars from the networks of Bravo, E!, Esquire Network, Oxygen, Sprout, Syfy and USA. 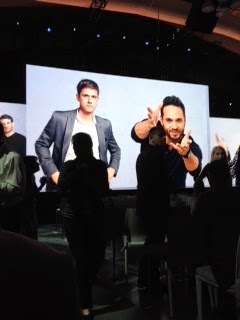 The night started off with presentations from each network showing sizzle reels of their new Fall shows, presented by talent from their current hit series. I'm particularly looking forward to seeing The Diane von Furstenberg Project and The Royals (starring Elizabeth Hurley) on E!, also Girlfriends Guide to Divorce with Janeane Garofalo on Bravo looked like it could be fun too. During the presentation, Royal Pains' Mark Feuerstein did a fun rap that really impressed me with how committed and entertaining he was. Now, here is the really cool part - the after party! Those aforementioned 120 stars all hangout after, pose for pics, plus there's an open bar, music, networking, etc. There were crowds around Kim Kardashian and a few others almost immediately. I had already interviewed her several years ago at the E! Turns 20 with Hollywood Birthday Celebration. For the most part I was just looking at the celebs from a distance. 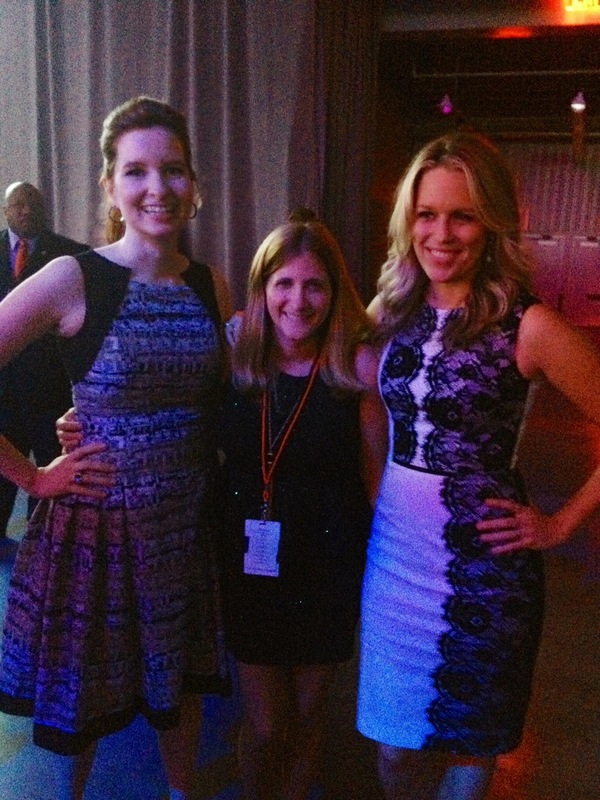 I did have the guts to go up to the awesome ladies of USA Network's new comedy series Playing House - Lennon Parham and Jessica St. Clair and I was floored with how sweet they were. I went up to them saying "My friend came over last night when my kids went to sleep and we watched Playing House together" true story. They then said they loved that and asked me how old my kids were and shared that they had an 8-month-old and a 13-month-old (their bodies be bangin' though). Anyway, we chatted for a few minutes about babies, twins - way longer than they needed to. They also posed for a photo with me. However, after seeing it, I declared "I'm so short!" I was wearing heels too, yet being in the middle, I looked like I could be the size of their babies, lol! They could have just left it at that, but they brilliantly suggested "Let's do a selfie!" and smushed on in for a selfie. How sweet is that? I've met a lot of nice celebrities, but only a few have seemed as genuine and nice. Later on when they passed by me at the party again they touched my arm in greeting. Lennon also tweeted me back! 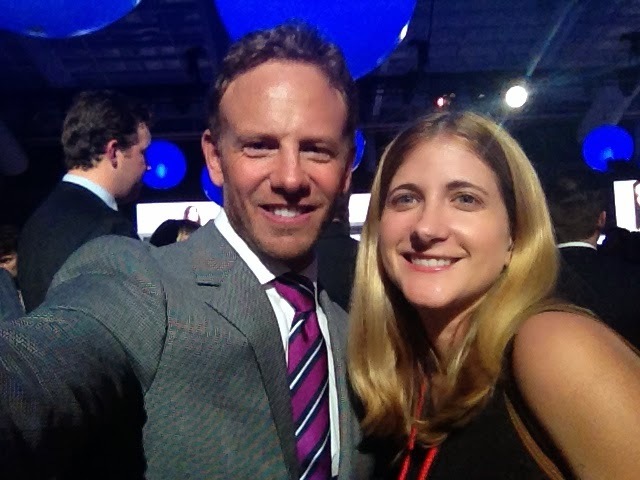 Speaking of selfies, I got to take a selfie with Steve from 90210 - Ian Ziering (Sharknado)! I was hoping I'd see him there, so when as soon as I spotted him, I bravely walked up to say hello. 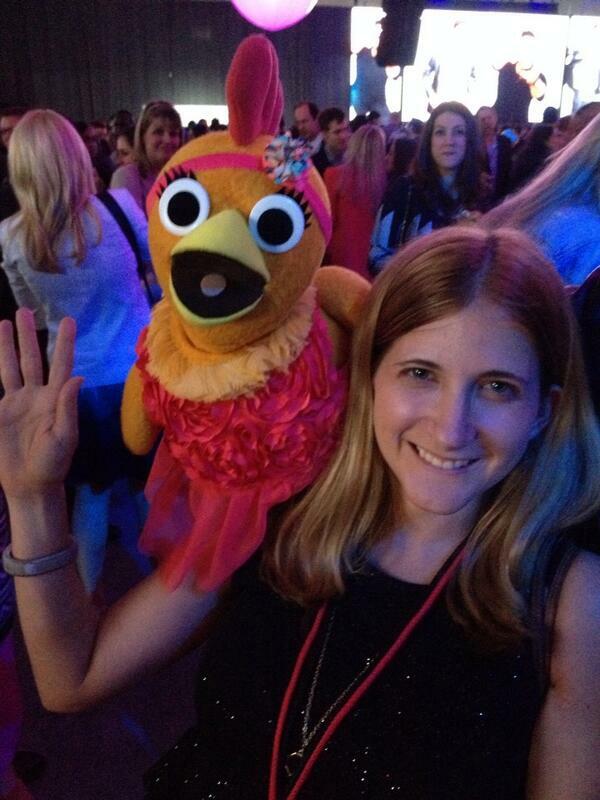 Plus, got a pic with Chica from the children's show on Sprout Network. I've watched it a few times with my boys on Saturday mornings, so was excited to see the puppet, hopefully my boys will eventually get a kick out of the photo. Lastly, I turned around and came into contact with the handsome Peter Gallagher from Covert Affairs and While You Were Sleeping. He seriously looks like he hasn't aged since that film and his eyes are captivating. He was also super sweet and said it was no problem to pose for a pic. He later tweeted me back too.